The Company’s responsibility does not end when the customer receives the keys to their new home. The commitment to quality is one that is shared by everyone in the Company, but inevitably when a large and complex project such as a new home is constructed, there are things that do not always work as planned. Minor problems are usually resolved very quickly on site. Informal Construction Clinics held each week allow customers to raise any queries about their new home directly to the Site Manager or Sales Advisor. Any problems that remain unresolved will be notified to the Customer Care Department, usually headed by the Customer Care Manager. The key to the successful management of any issues is how efficiently and quickly they are dealt with. Customer Care Co-ordinators will ensure that all items reported by a customer are handled within target timescales. Co-ordinators will arrange for the required work to be undertaken, which may be carried out by site construction staff, or by Customer Care Operatives who carry out varied remedial or work within their region. Our properties have a two-year warranty from the Company so the Customer Care teams will retain responsibility for a development long after the Sales and Construction teams have left. 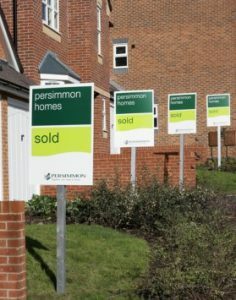 The Customer Care team will also guide customers in respect of warranties provided by manufacturers and the NHBC 10-year warranty, applicable to every Persimmon Home.